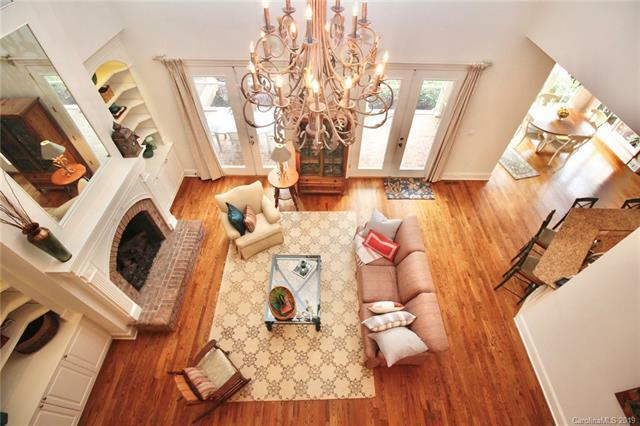 Custom Simonini with low country charm & exquisite millwork! 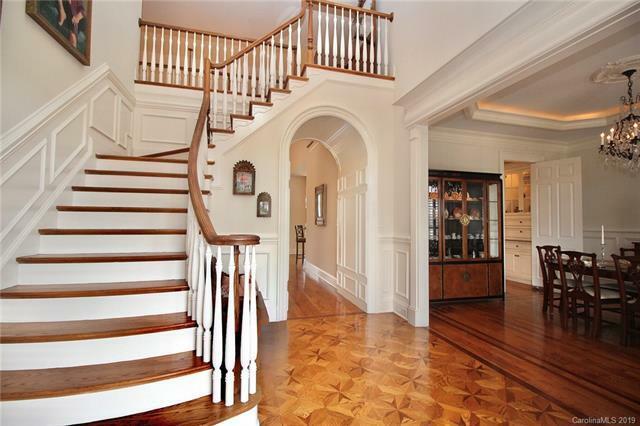 Welcoming foyer w/ parquet flooring & barrel arched hall w/ hidden closet. Chef's kitchen featuring thermador cook top, sub zero refrigerator, beautiful cabinetry overlooking breakfast nook w/ wood detailed ceiling. Open great room w/ built-ins & fireplace. Owners suite on main level w/ HUGE WIC, spa bath w/ heated floors & option for nursery/sitting area. Formal dining, office, bonus room, spacious secondary bedrooms with en suite bath, 2nd living quarters w/ kitchenette, dining & living area, full bed & bath w/ private entrance or main house access. Over 1000 sq. ft. unfinished area to expand on the 3rd floor. 4+ car garage, 3 covered porches, patio, level yard on .69 acre, relax on the front porch and enjoy the views of the 6th green and fairway. Enjoy the screen porch or terrace overlooking the 7th fairway. Year round views of two holes. A+ Marvin Schools, low taxes, excellent club amenities!